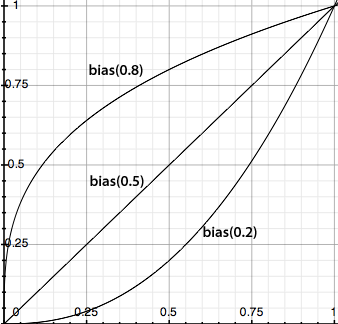 I have been doing some hand coded animations recently and I was sick of having to go into the OSX grapher every time I wanted to come up with a function. I would always repeat work that I have done before. So in order to save time in the future I am going to put up a couple of functions that I think will be useful for tweening. 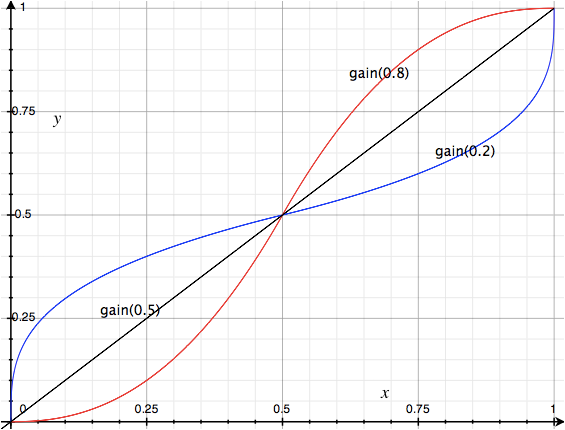 There are other functions that are useful when you combine them with other functions that are in the range 0->1. 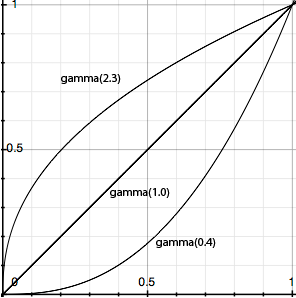 A function that is a lot like gamma is called bias but if its parameters are restricted to the range (0..1) which makes it a lot more intuitive to use than gamma. 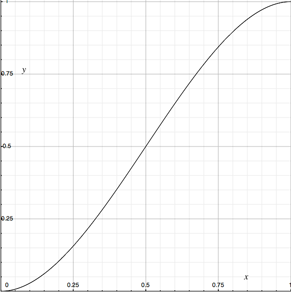 Another useful function that is like smoothstep but you can control its curvature and the slope at the ends is called gain. 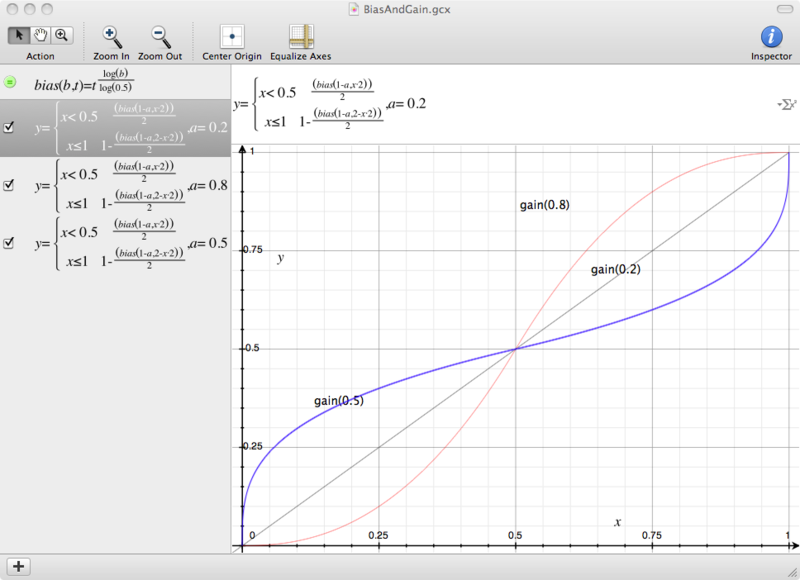 Here is a Mac OSX Grapher project file that shows how to make these graphs. 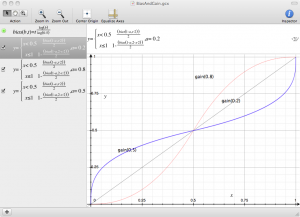 It is an example of using functions and piecewise definitions of graphs. This entry was posted in Development Blog. Bookmark the permalink.